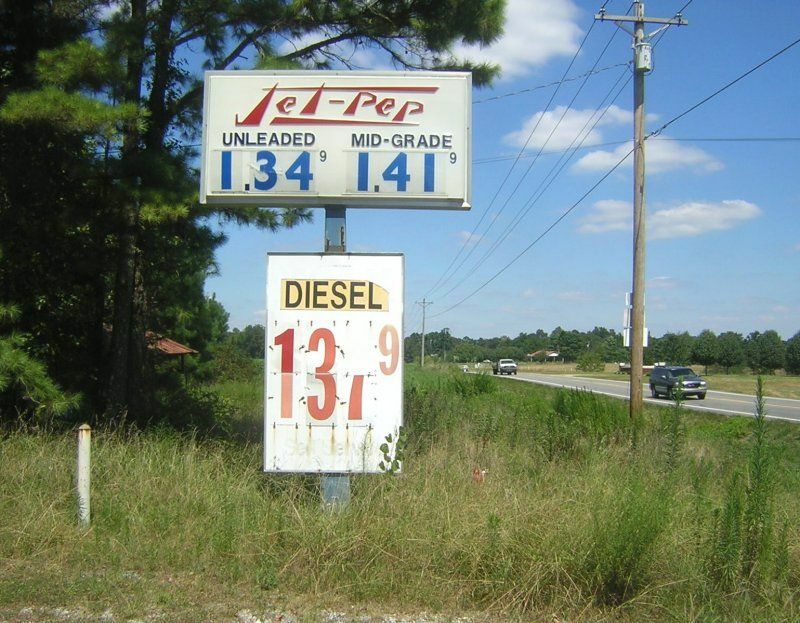 A closed Jet-Pep station near Houston, Alabama. 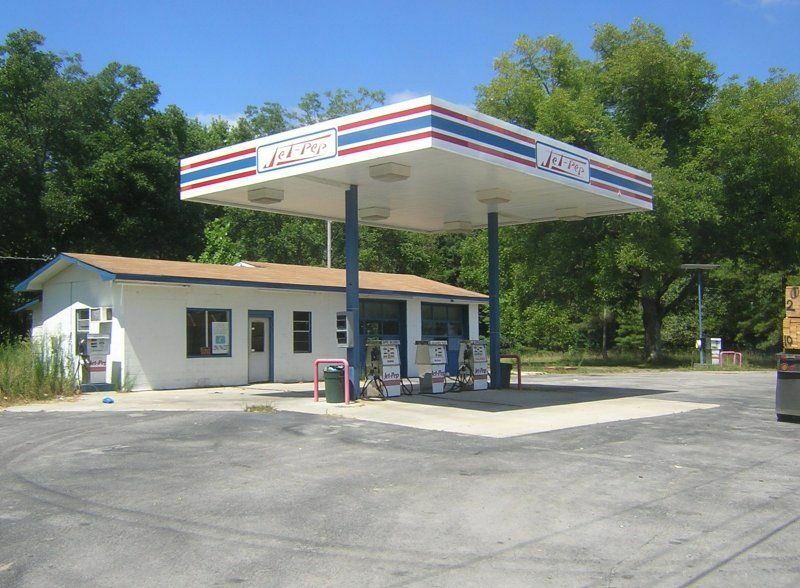 this one had a better looking sign and canopy (see below). Taken August 2004 by David Backlin. A view of the building and pumping area at the above location near Houston, AL. Taken August, 2004 by David Backlin.